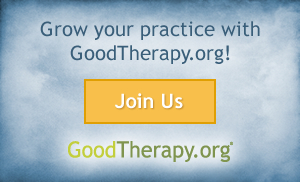 What makes therapy work? Is there some elusive combination of words that will help a client overcome depression? Or more realistically, is there a series of research-based techniques and strategies that can be strung together to heal emotional wounds? While the right techniques and research-based interventions are valuable, there are a few less tangible aspects of psychotherapy that are more strongly connected to positive treatment outcomes. When researchers study therapists, as opposed to studying a specific type of treatment, they come up with some interesting data. One study found that an effective therapist, as compared to a less effective therapist, has a more powerful impact on treatment outcome than whether or not a client receives medication (1). Surprisingly, clinical experience has little importance. Therapists who have been practicing for 15 years don't have greater success with clients than those who have only been in the field for 2 years (2). Additionally, as long as a therapeutic intervention has at least moderate research support, it doesn't really matter which one you choose (2, 3). What's more important is that you—the therapist—believe it will work. We've compiled a list of traits that the most effective psychotherapists possess. Take a look. Ability to develop a strong relationship. Ah, the foundation of therapy: the relationship. Research has consistently shown that a strong relationship might be therapeutic in itself, regardless of intervention type (4). Many of the traits found in the most effective therapists are related to their ability to create a strong therapeutic alliance. Without a strong relationship, clients are unlikely to believe in the efficacy of their therapist's interventions, they may be dishonest or unwilling to share personal feelings, and they are less likely to complete therapy. Just to bring this point home: One study found that patients with moderate to severe psychiatric symptoms were three times more likely to complete treatment when they reported having a strong therapeutic alliance (5). Several signals of empathy—including warmth, friendliness, understanding, and affirmation of emotions—are closely related to building a strong therapeutic alliance. Similarly, clients report having the best relationships with therapists who display genuine interest during session (usually evidenced by enthusiasm), and those who show respect (6). I guess it shouldn't come as a surprise that cold, aloof, and condescending therapists don't fare as well as those who present themselves as nurturing and empathetic. When it comes to psychotherapy, one size does not fit all. The most effective therapists recognize this, and they adapt their interventions to fit with their clients' personality, needs, and preferences. Clients who do not feel confident about their therapist's style of intervention are far less likely to complete treatment. Flexible therapists tend to initiate discussion about a client's preferences, and they accommodate them whenever possible. When a client's preferences are not reasonable, or not in their best interest, the therapist will provide education to help their client make a more informed choice. Psychotherapy consists almost entirely of conversation, so it makes sense that effective communication is a key trait of a good therapist. Therapists are regularly tasked with describing complicated theoretical models (and most importantly, how these models are relevant to the client), intangible symptoms, and with fostering open communication. Effective communication isn't just about the ability to explain something. It's about checking in with a client and asking how they feel about treatment. It's about maintaining an open dialogue, and creating an atmosphere where everyone feels comfortable enough to speak openly about difficult topics. Therapists who are ineffective communicators are less likely to check in with their clients and their interventions have worse fit. When a therapist expresses confidence in a client and their ability to be successful in therapy, they are much more likely to have a successful outcome. A therapist's confidence can be expressed either explicitly ("I am confident that you can get better"), or inexplicitly (showing enthusiasm for treatment or discussing a history of past success). Effective therapists regularly point out a client's successes, and ways in which a client has progressed in therapy. When a therapist shows a lack of confidence in their treatment, why should a client believe it will work? Clients who are not confident in their therapist are less likely to follow through with recommended interventions, and they are less likely to have a positive treatment outcome. This is actually the one area where a clinician's experience has been found to have an impact on treatment (clients tend to have more confidence in experienced practitioners). Continuing education and reliance on research. You might remember that earlier in this article, I mentioned that the type of therapeutic intervention has little impact on treatment outcome, as long as it has at least moderate research support. I want to emphasize the "at least moderate research support" part of that sentence. All treatments are not equal. Therapists who are up-to-date on research, and those who use research-based interventions, are far more successful than those who do not. Quack treatments do not create lasting change. That being said, as long as a therapist uses a research-based intervention, it doesn't really matter which one they use. Outcomes are the same across interventions. In summary, effective psychotherapy relies on a number of factors that are not typically considered in research. In many cases, the therapeutic relationship and personal traits of the therapist are more important than the type of intervention. That being said, the traits I described above are not rules set in stone. There are therapists who are not all that personable, but they are still effective. There are therapists who aren't a good fit for most people, but they're the perfect for a select few. Don't be discouraged if these guidelines are not an exact reflection of yourself. If you would like to learn more about this topic, I highly recommend picking up Psychotherapy Relationships that Work: Evidence-Based Responsiveness by John C. Norcross. (1) Wampold, B. E., & Brown, G. S. J. (2005). Estimating variability in outcomes attributable to therapists: a naturalistic study of outcomes in managed care.Journal of consulting and clinical psychology, 73(5), 914. (2) Pilkonis, P. A. (1996) Characteristics of effective therapists: Further analyses of data from the NIMH treatment of depression collaborative research program. Journal of Consulting and Clinical Psychology, 64(6), pp. 1276-1284. (3) Hill, C. E., & O'Brien, K. M. (2004). Helping skills: Facilitating exploration, insight, and action. Washington, DC: American Psychological Association. (4) Martin, D. J., Garske, J. P., & Davis, M. K. (2000). Relation of the therapeutic alliance with outcome and other variables: a meta-analytic review. Journal of consulting and clinical psychology, 68(3), 438. (5) Petry, N. M., & Bickel, W. K. (1999). Therapeutic alliance and psychiatric severity as predictors of completion of treatment for opioid dependence.Psychiatric Services, 50(2), 219-227. (6) Ackerman, Steven J., and Mark J. Hilsenroth. "A review of therapist characteristics and techniques positively impacting the therapeutic alliance. "Clinical psychology review 23, no. 1 (2003): 1-33. (7) Robinson, B. (2012). Psychotherapy relationships that work: Evidence-based responsiveness [Book Review]. Psychotherapy in Australia, 18(2), 86.